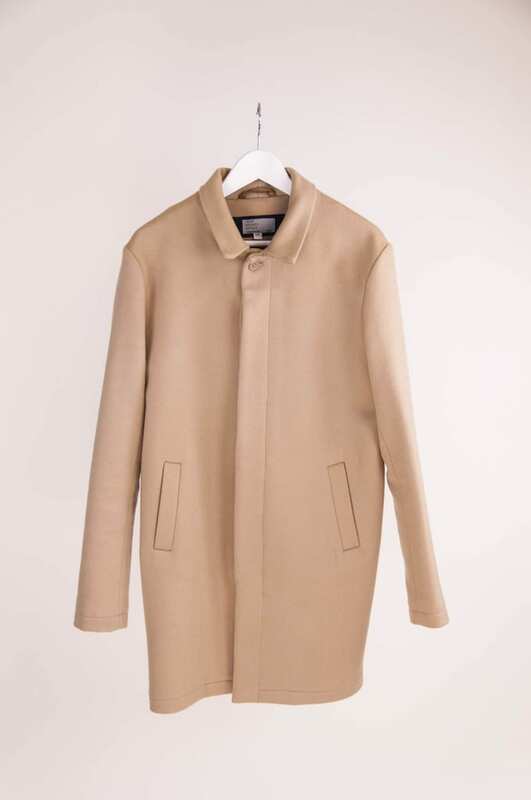 "Cashmere blend coats are key pieces in anyone&apos;s wardrobe." That&apos;s what I would say if I was writing one of those "72 Essentials For Every Wardrobe" stories. Thankfully here at Four Pins, instead of writing helpful articles about a million things you already own, we write articles about Cool Teens™ and come up with anecdotes about over the pants handjobs. WE OUT HERE DOING THE REAL JOURNALISM. This coat is made entirely in Canada. I don&apos;t know too many other things made entirely in Canada other than really dank nugs and, like, politeness. Anyways, you should cop this Four Horsemen cashmere blend mac because it&apos;s comfy, simple and a wardrobe staple, motherfuckers.